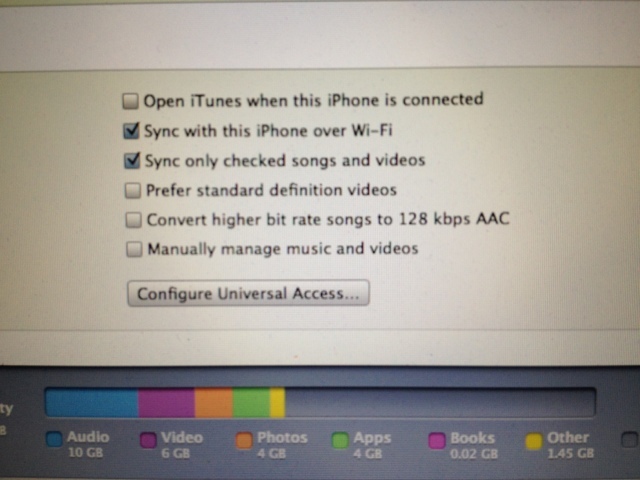 Home »Unlabelled » [HOW-TO] - Initiate iTunes WiFi Sync in iOS 5? 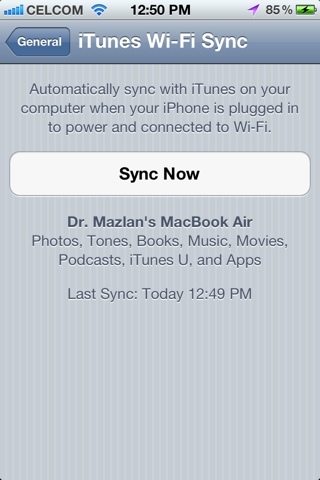 [HOW-TO] - Initiate iTunes WiFi Sync in iOS 5? When you plug in your iOS device into iTunes with the USB cable, and click on your iOS device in the left column, there is a Summary screen to display the features of your iOS device. It is the main summary screen for your iPhone/iPad/iPod Touch. At the bottom of the Summary screen, there is a check box to sync the device using Wi-Fi.